Previously Tides, the pop/funk four-piece relaunched as Club Drive in February. 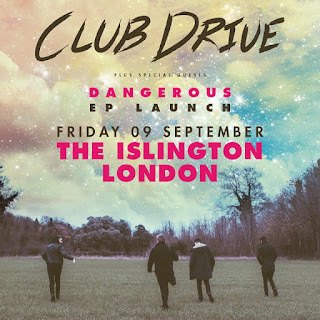 Now, following their sold out debt headline show at the O2 Islington Academy main room back in May, the band are gearing up for the release of their next EP, Dangerous. In support of the EP, Club Drive will play an intimate EP launch show at The Islington on the 9th September. Special guests are yet to be announced and tickets are available from this Friday, the 11th August.